Kaitlyn L. Lavaroni is an Associate in the Sacramento, California, office of Jackson Lewis P.C. Her practice focuses on representing management in a broad range of employment law matters, including discrimination, harassment, retaliation, wrongful termination, and wage and hour claims, as well as providing preventative advice and counsel. 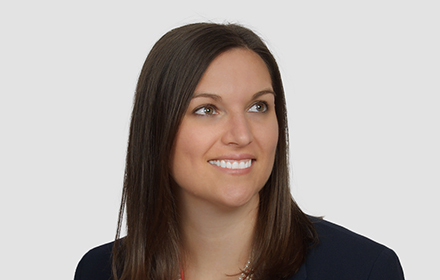 Prior to joining Jackson Lewis, Ms. Lavaroni worked at a midsize law firm in New York where she represented insurance carriers in connection with an extensive array of insurance coverage issues. While attending law school, Ms. Lavaroni was the Articles Editor of the Hofstra Law Review and participated in the Duberstein Bankruptcy Law Moot Court Competition. In addition, Ms. Lavaroni was awarded the Federal Bar Council Cornelius W. Wickersham, Jr. Award for excellence in Constitutional Law, the Hofstra Law Review Vol. 39 Kenneth S. Horton Award of Excellence, and the Hofstra University School of Law Citation of Excellence in Constitutional Law.